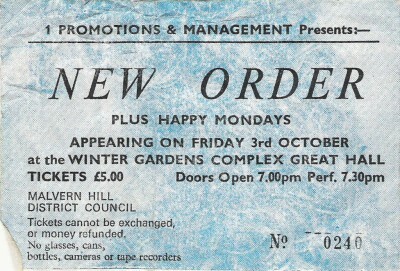 On this day in 1986, New Order played at Winter Gardens in Malvern, England. The audience was treated to an encore jam of the Velvet Underground’s ‘Sister Ray’ with the Happy Mondays. The encore was a nod to the Joy Division / Section 25 performance at the same venue six years earlier. Today we have Perfect Pit from The Perfect Kiss 12″ released in 1985.